Will these alternative investments get your stamp of approval? Stamp collecting hobby or investment? Stamp collecting has traditionally been seen as the preserve of the eccentric. But, rare stamps have seen significant long term price appreciation. Rare stamps, like other rare collectables, can be an alternative investment that gives you pleasure and creates wealth that lasts. Stamps are among the most portable of tangible investments and are easy to store. Stamps have performed much better than the stock markets in the last two years. In fact Bloomberg added The SG100 Index, which shows the performance of the 100 most popular stamps to their indices website in 2007. This index enables investors around the world to compare the performance of these stamps with other asset classes. What makes a stamp valuable? Two of the main factors that make a stamp valuable are rarity and the number produced. It is difficult to tell when a stamp is new whether it will be valuable one day. 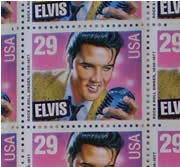 Rare stamps can be found in nearly all of the postage systems of the world. There are plenty of opportunities to collect modern day stamps that may one day become a rarity. The British Guiana one cent stamp is the rarest stamp in the world (only one was ever made). It was found by a schoolboy in British Guiana in 1873. If you owned it you would be a multi-millionaire! The first postage stamp, the Penny Black, was issued by Britain in 1840. It pictured a young Queen Victoria. It was produced without perforations and consequently had to be cut from the sheet with scissors in order to be used. While unused examples of the 'Penny Black' are quite scarce, used examples are common and may be purchased quite cheaply. Price will depend upon its condition. The most famous U.S. stamp is the 1918 'Inverted Jenny'. This is the airmail stamp with the aircraft mistakenly printed upside down. Single examples sold in the 1950s for several thousand dollars each. In 1969, the auction record was $31,000. In 2005, an example sold for $577,500. In 2007, an example sold for $977,500. Obviously a good investment, longer term. Another famous U.S stamp is the '1-cent Z grill' stamp. Only two 1-cent Z grill stamps exist, and only one is available to stamp collectors. You can imagine how much a collector would pay for it. The other is in the collection of the New York Public Library. Other rare and famous stamps include the Treskilling Yellow. It was issued in Sweden in 1855. The 3-skilling banco value was normally printed in a blue-green colour, but somehow it got printed in yellow. The number of stamps printed in the wrong colour is unknown, but only one has ever come to light. After changing hands several times over the years, the stamp made headlines in 1984 when it was sold by David Feldman for 977,500 Swiss francs. At a sale in 1990 it sold for over $1 million, then in 1996 it sold again for 2,.5 million Swiss francs. This stamp sets world records every time it comes on the market. In 1958 Alfred Caspary's stamp collection sold for $2.75 million. Ten years later, Josiah Lilly sold his collection for almost $4 million dollars. Both, had made a lifetime hobby of stamp collecting. What a great reward for doing something you enjoy. This is a good example of wealth being more than just money - see wealth and wellbeing. In 1986, Australia Post bought the collection of Ray Chapman for $750,000. Children and teenagers were early collectors of stamps in the 1860s and 1870s. Many adults dismissed it as a childish pursuit. During the late 1800s many of those collectors, as adults, began to systematically study the available postage stamps and published research works on their production. It was not until the 1920s that publicity about valuable stamps encouraged a large increase in the number of stamp collectors. This rapid increase in postage stamp values was largely because very few of the older stamps were being saved in good condition. Especially difficult to find were pairs, triples, and large blocks of older stamps. The future of stamp collecting is in dispute. Some think that because of the increasing popularity of e-mail, other electronic forms of communication, and custom-made stamps, the future is bleak. However, collecting is all about supply and demand. The rare old stamps will always be sought after. More modern stamps with printing errors have still to be found and may become the rarities of the future. Starting a stamp collection does not require a lot of capital. For our members with children, this is a perfect way of spending time with them. It isn't an expensive hobby and the stamps don't take up a lot of storage room. You can start by asking family and friends to save the stamps from their incoming mail. The stamps received from family members are often of the common sort. These common stamps may seem mundane but considering their variety of colours, watermarks, paper differences, perforations and printing errors, they are worthy of collecting. Sometimes the most mundane can become the find of the future! The odd printing error can make a stamp very valuable in the future. Introducing either variety or specific focus to a collection can require the purchasing of stamps, either from a dealer or online. Large numbers of relatively recent stamps, often still attached to fragments of their envelopes, may be obtained cheaply and easily. These stamps like other rare collectables, have seen significant long term price appreciation. Stamps are another alternative investment that give you pleasure and can create wealth that lasts. Who knows the stamp collection that was left to you by old aunt Mary, may be worth a second look.